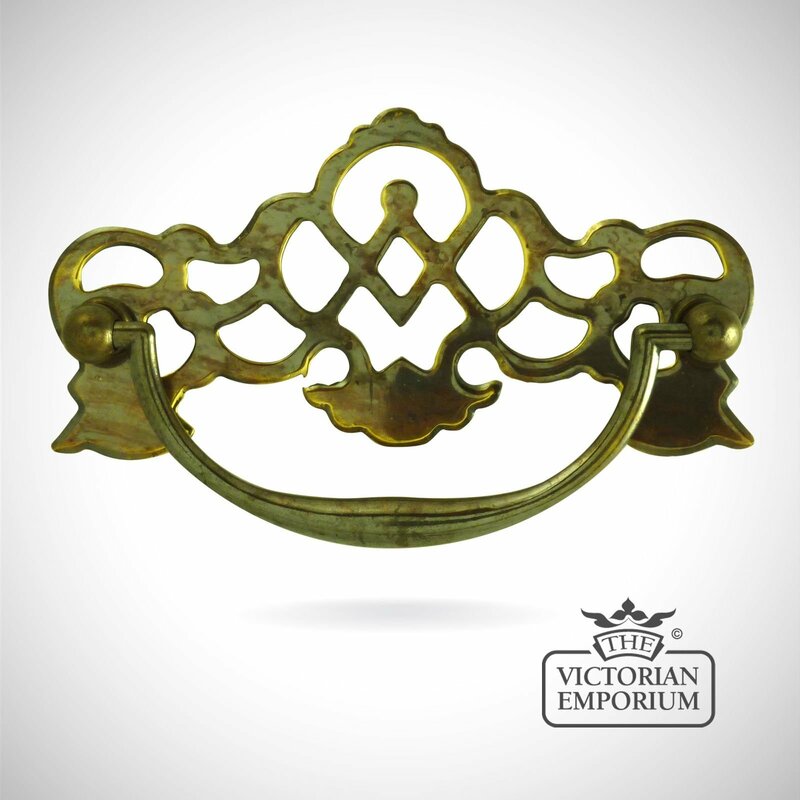 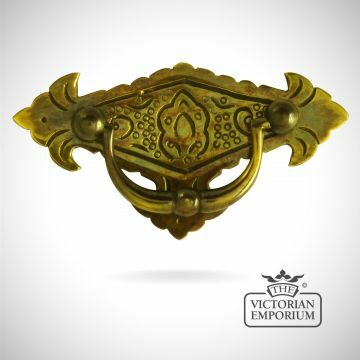 A traditional reproduction style period brass plate handle. 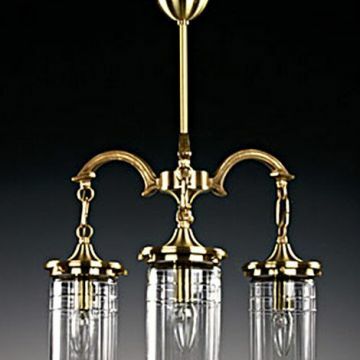 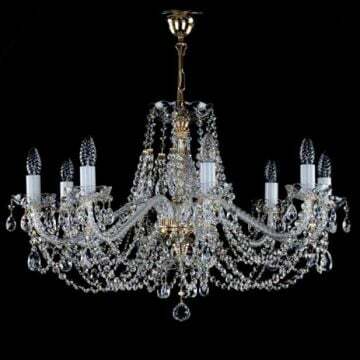 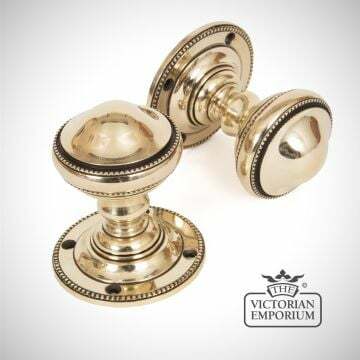 Antiqued and polished brass finishes available. A traditional reproduction style period brass plate handle. 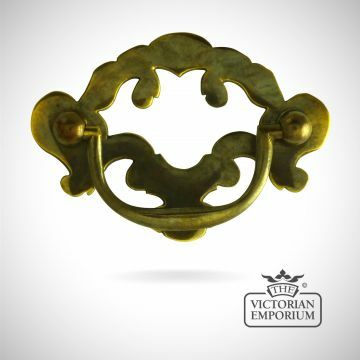 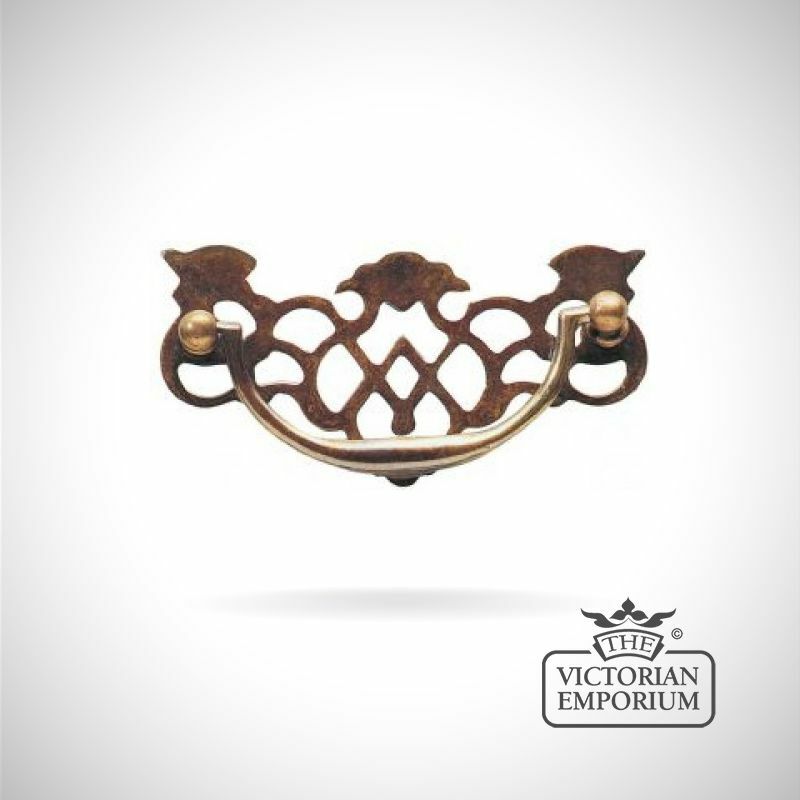 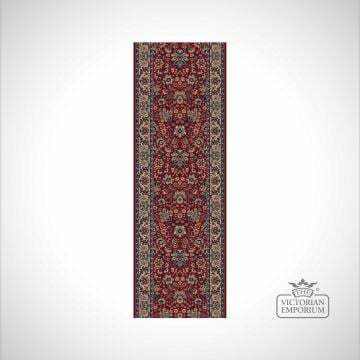 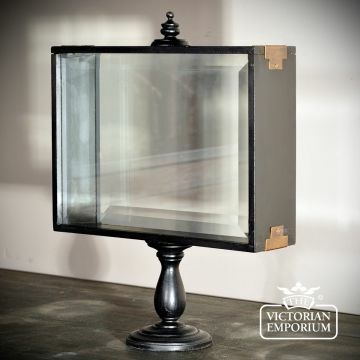 Historically this was the style of handle widely used by the volume manufacturers of antique reproduction furniture you would see in all furniture stores up and down the country. 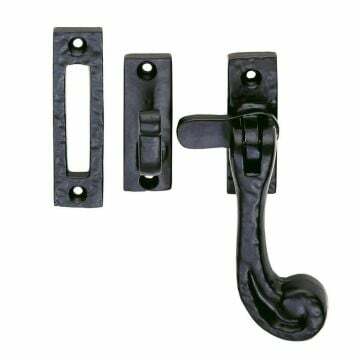 The grip is a hot brassed forged item and the complete handle is supplied with traditional fixings of brass bolt head and steel allthread and nut.